Kathleen Ngal is a senior custodian for her Country and shares great responsibility as keepers of cultural knowledge for Aharlper, located in the heart of Utopia, 250 kms North East of Alice Springs. Kathleen and her sisters are among the most accomplished painters who have worked at Utopia during the past 20 years. Kathleen Ngal began her career in late 1979, with the production of Batiks, made by artists in Utopia prior to the introduction of painting on canvas in the mid to late 1980s. Kathleen Ngal's work is a sophisticated play between the cultural knowledge of her country and the contemporary expression formed through the medium of synthetic paint. 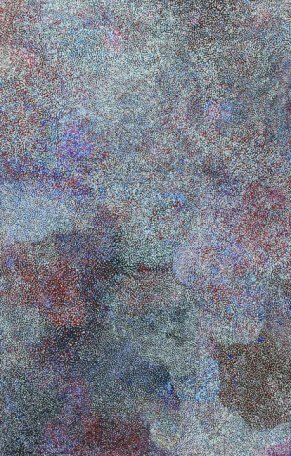 Thousands of dots of colour are rained across her canvas denoting flora and the geographical and sacred sites of the Bush Plum. 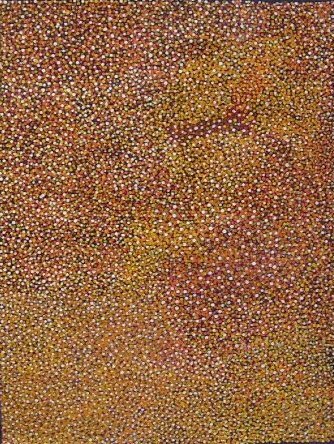 In 2000 Kathleen Ngal was exhibited as a finalist in the National Aboriginal and Torres Strait Islander Award and has been exhibiting nationally and internationally since 1999. ''25th National Aboriginal and Torres Strait Islander Award'', Darwin, N.T. ''17th National Aboriginal and Torres Strait Islander Award'', Darwin, N.T.